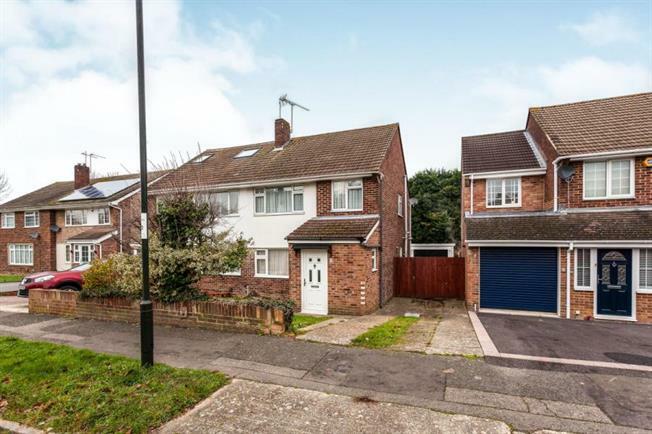 3 Bedroom Semi Detached House For Sale in Crawley for Guide Price £370,000. A beautifully presented semi detached house in a great location. This delightful property offers three well proportioned bedrooms and a lovely family bathroom with a shower cubicle as well as a large bath tub. On the ground floor there is a spacious double reception room with gas effect fire and attractive conservatory leading to a large garden perfect for a family. The galley kitchen is modern and well fitted. There is a driveway as well as a garage for parking and the close proximity to Ifield station make this property ideal for a family looking for convenience.